Richard & KaraLyn Ferguson are co-founders of the Mountains & Strings Chamber Music Retreat. Both studied violin with Dr. LaMar Barrus at BYU-Idaho where they first started dating. After they were married, Richard studied viola with Dr. Kevin Call. Since then he has taught in public school orchestra programs in Idaho Falls, Rexburg, and Sugar City, and the Jefferson Montessori School near Rexburg. 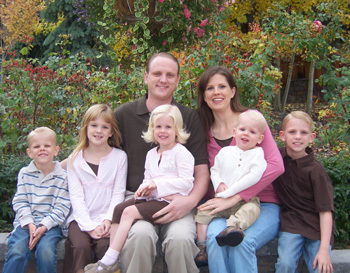 Richard and KaraLyn are the parents of five children. They find great joy in teaching music and performing together. They are stand partners and co-concertmasters of the Rexburg Tabernacle Orchestra which is now celebrating its fifth season. They currently own and operate a violin shop and a private studio of almost 90 violin/viola students. Richard & KaraLyn find great satisfaction in what they do; especially keeping up with their 5 children, and running the Mountains & Strings Chamber Music Retreat. Brian & Natalie Ashton are co-founders of the Mountains & Strings Chamber Music Retreat. Brian is an excellent cellist and cello instructor. He has a Bachelor's degree from BYU-Idaho in Social Studies and Music Education where he studied cello with Dr. James McWhorter and Dr. Robert Tueller. Natalie has a degree in Recreation Leadership Education which is a great asset to the recreational side of the chamber retreat. She is now a registered nurse, and the full-time mother of two beautiful girls and two handsome boys. 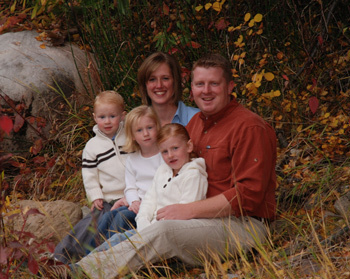 Brian is now a principal in the Teton School District. He enjoys helping young people achieve their full potential both in their music, and in their lives. He also gets great joy out of seeing his students learn while having a good time. Both Brian and Natalie are committed to making the world a better place by inspiring young people in positive ways.